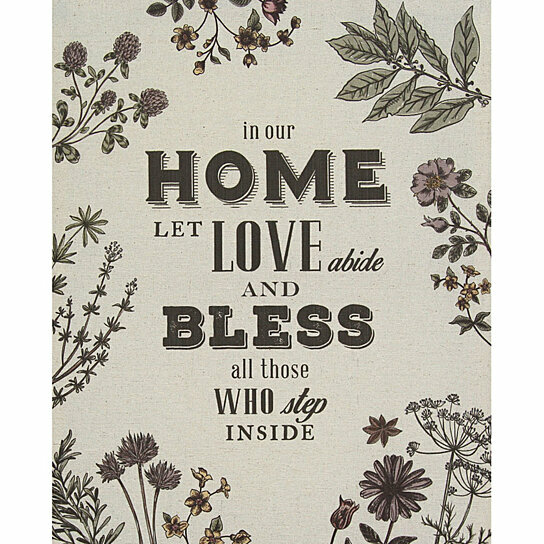 Brighten your living space with the adorable Stratton Stratton Home Decor "In our Home" Linen Wall Art. This charming wall art is made of canvas and has a sweet quote. Care instructions: Wipe clean with damp cloth.